Downtown Buffalo, New York. Photo Credit: Flickr/Sunghwan Yoon. Almost every weekday morning, I leave my house in Markham, climb into my car and drive to work in nearby Toronto. On my journey, I listen to WBFO, a National Public Radio affiliate in Buffalo, New York. I have been drawn to Buffalo for many years and find myself paying close attention to news from the city and its surroundings. Within the last year or so, many stories on the station have touted the rebirth of Buffalo’s downtown. The construction of new buildings and the refurbishment of older ones is turning downtown Buffalo into a vibrant, economically active neighborhood where hockey plays an important role. The town’s Buffalo Sabres NHL team has countless fans across the region and a home arena known as the Niagara Center near the Lake Erie shoreline. Recently, a new hockey and recreational complex called the Harborcenter opened facing the Niagara. With ice rinks, restaurants, and a not yet completed hotel, the Harbor as well and the Niagara are infusing the lakeshore with life. Visitors are being drawn in to indulge in leisurely activities, such as hockey games, dinners and, once the construction is completed, overnight stays at the hotel. These are all expensive pursuits, which suggest to me that the whole complex is designed with the well-to-do in mind and not the city’s thousands of people who live at or below the poverty line. It leaves me wondering what will happen to the poor if most new construction projects in Buffalo are to serve the middle and upper classes? 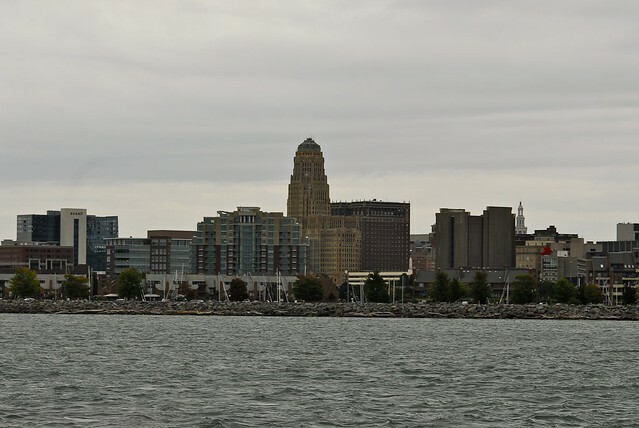 Many areas of Buffalo have not seen the economic growth currently boosting the city’s downtown. Photo Credit: Flickr/Sean Marshall. Service jobs in restaurants and stores do not pay their employees enough to pull them above the poverty line. Office and high technology manufacturing positions on the other hand require training that a person who struggles to feed her children may never have received. A few years ago, Adam Davidson wrote about specialized jobs for the few in the New York Times . He was focusing on towns around the railway line that connect New York City to Washington, D.C. But, he might as well have been talking about Buffalo. 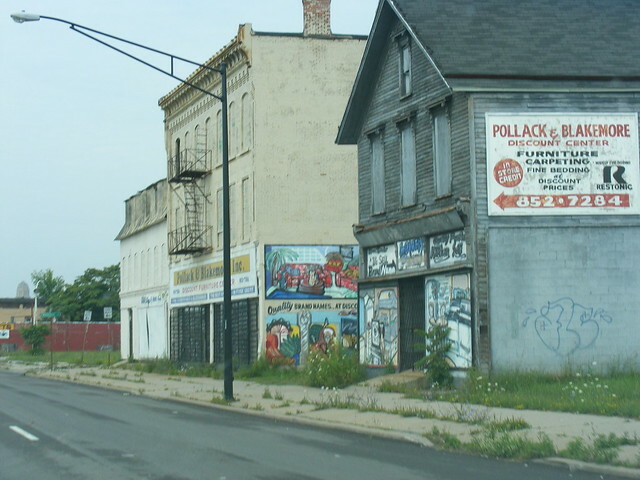 Buffalo’s poor simply do not have a chance to join their city’s economic rebirth. They struggle to make ends meet and if something is not done their children might also spend their lives in equally difficult economic circumstances. On 88.7 FM I once heard that only 47 percent of students in Buffalo graduate from high school. If finding a job for university graduates is a challenge in today’s economy what hope does a person without a high school diploma have to build for herself a financially secure life? But the situation in Buffalo is not completely grim. An organization called People United for Sustainable Housing (PUSH) Buffalo is recreating the city in a vibrant way. Stay tuned to hear more about PUSH in my post next week.